Changelog script is designed to help you add changelogs easily. 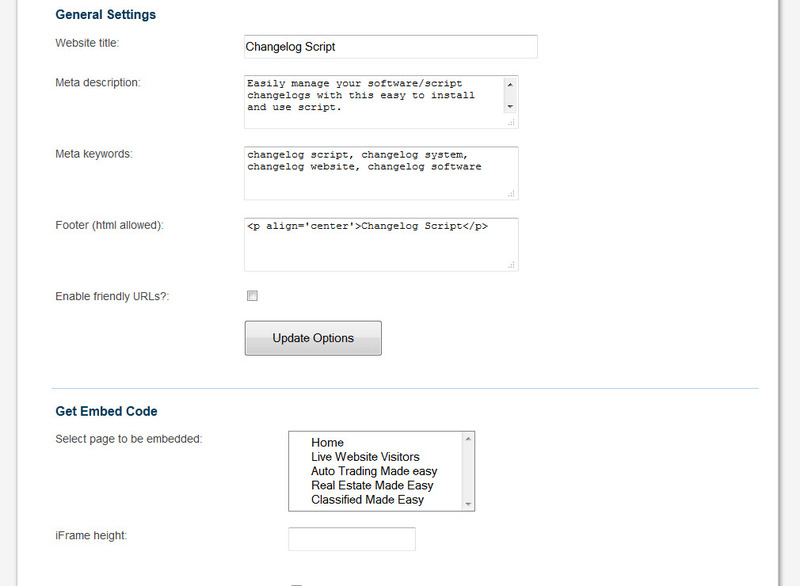 Usually changelogs are added rite at the software/script description page which makes it harder to read and understand. 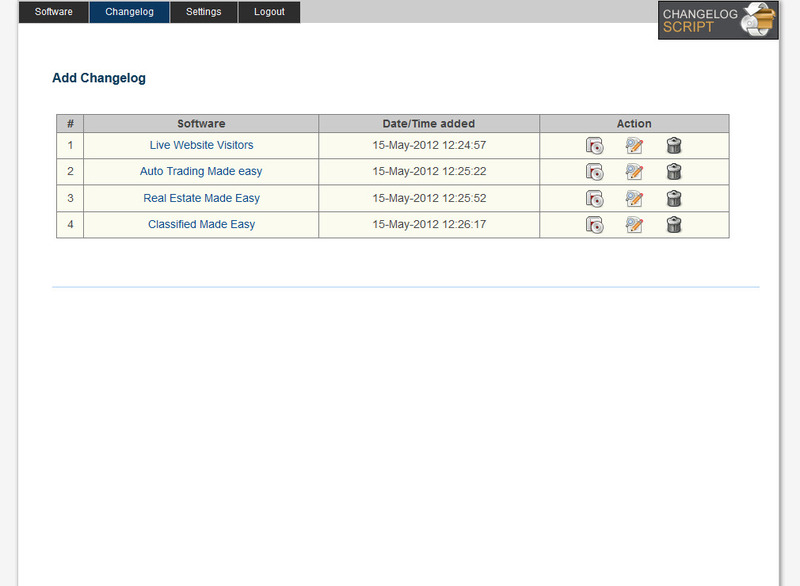 But with changelog script you can easily create changelogs for multiple number of software/script in easy to read format. 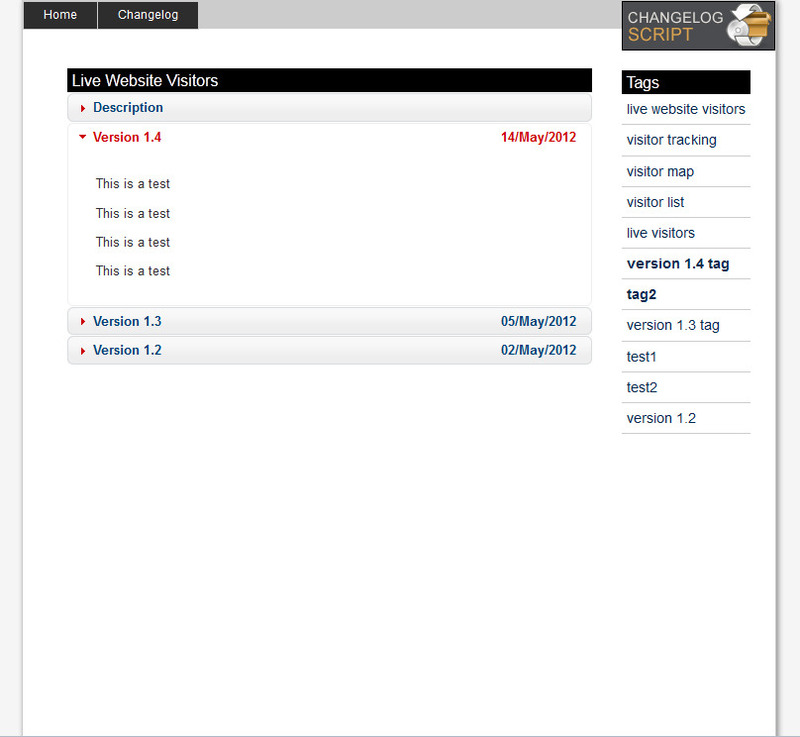 Each changelog can have its own tags, clicking on which will show that particular changelog. 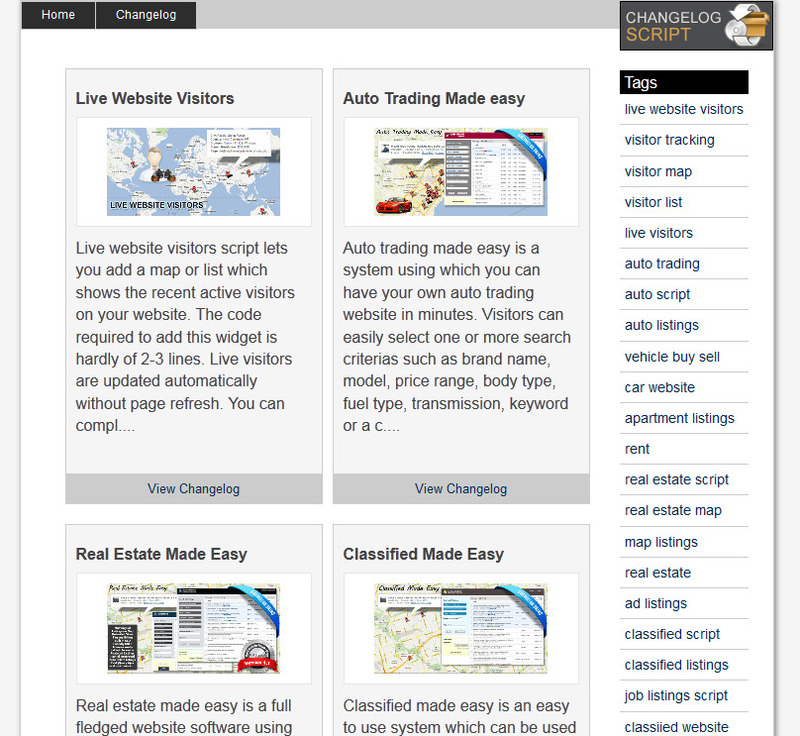 You can use this script as a standalone website or embed it directly on your existing website. 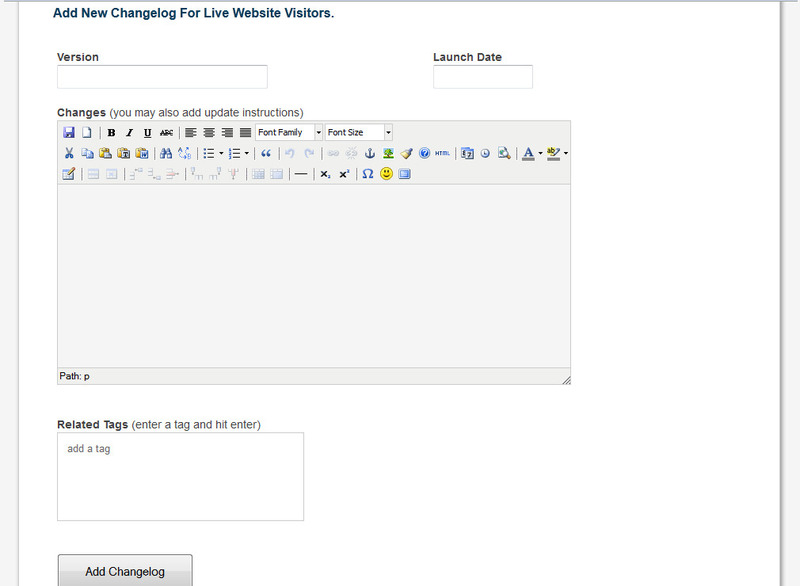 For ex, you can embed a changelog in a wordpress post. 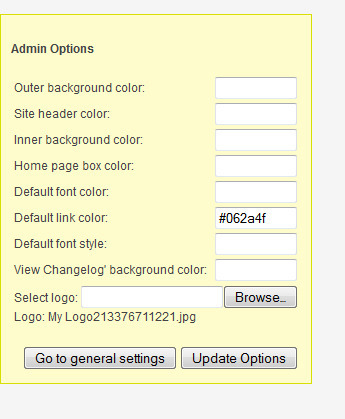 It seamlessly integrates with your website content as you can easily change its look n feel through the back office. The changelog page shows changelogs and highlights related tags automatically. 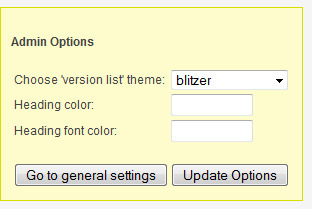 This helps viewers easily find the changes by merely looking at the tags and without going through the each changelog. Clicking on a tag opens up the related changelog. Easily create changelogs for multiple software/scripts. Changelogs are shown in an easy to read format. 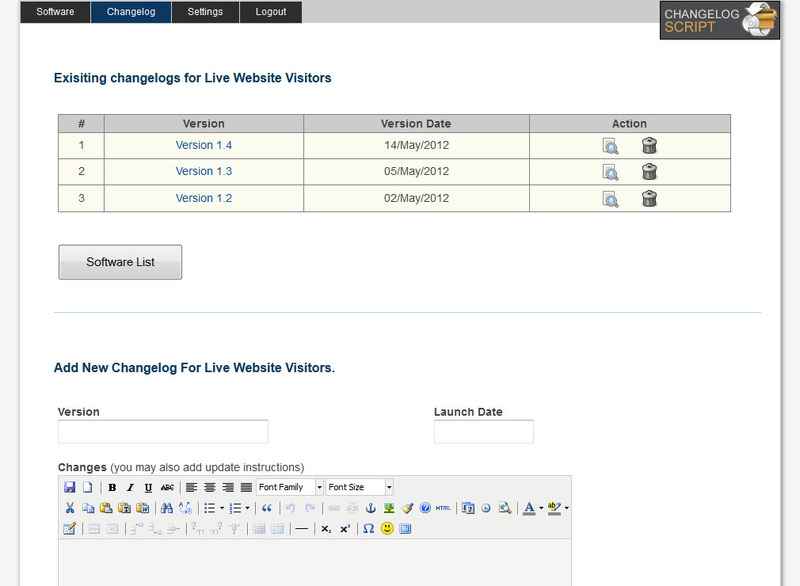 Easily embed changelogs in your existing website or page. 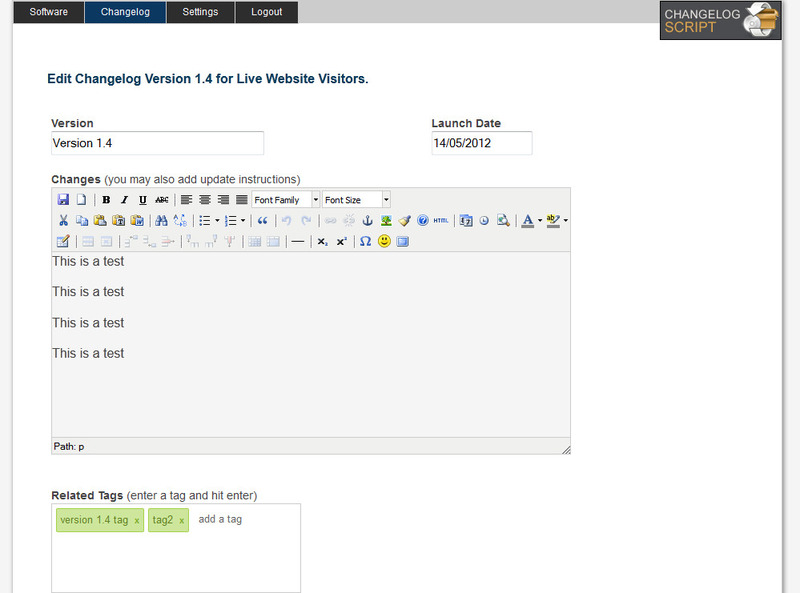 Each changelog can have its own tags and clicking on a tag shows changelog associated with it. Easily change look and feel settings. Easily update or delete existing changelogs. Option to show or hide software description above changelog. Change the position of tags from side to bottom.